GoOps takes the guesswork out of prep work. 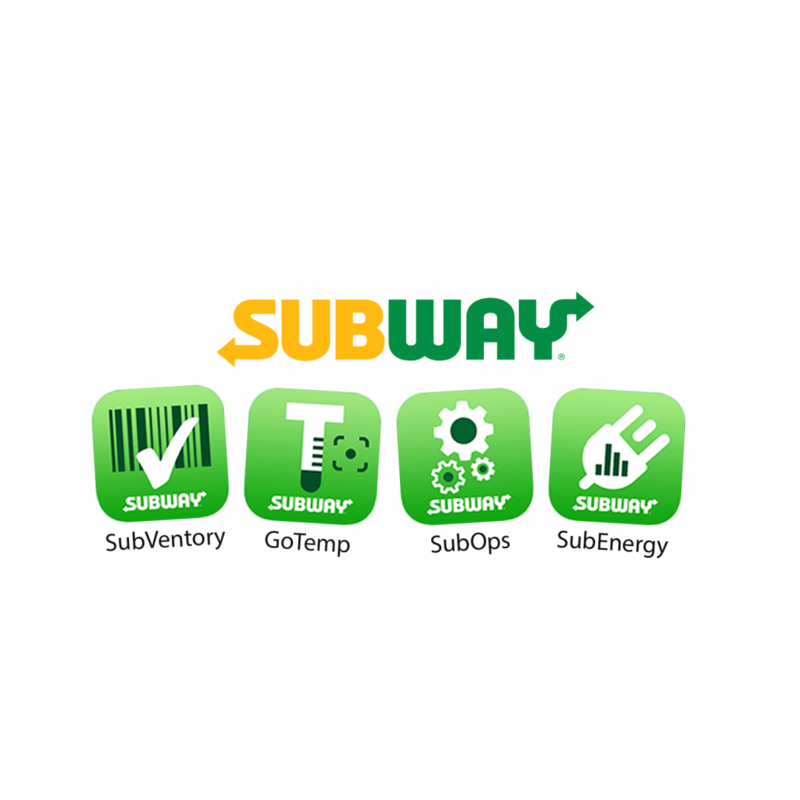 Now here’s a recipe for success…and savings! Don’t leave your fate to guesswork. 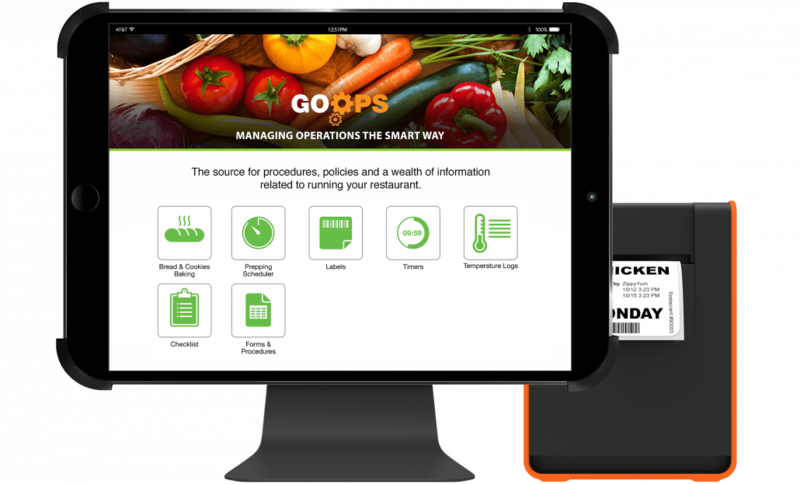 Some restaurants are reporting up to 80% food waste reduction with GoOps’ predictions! 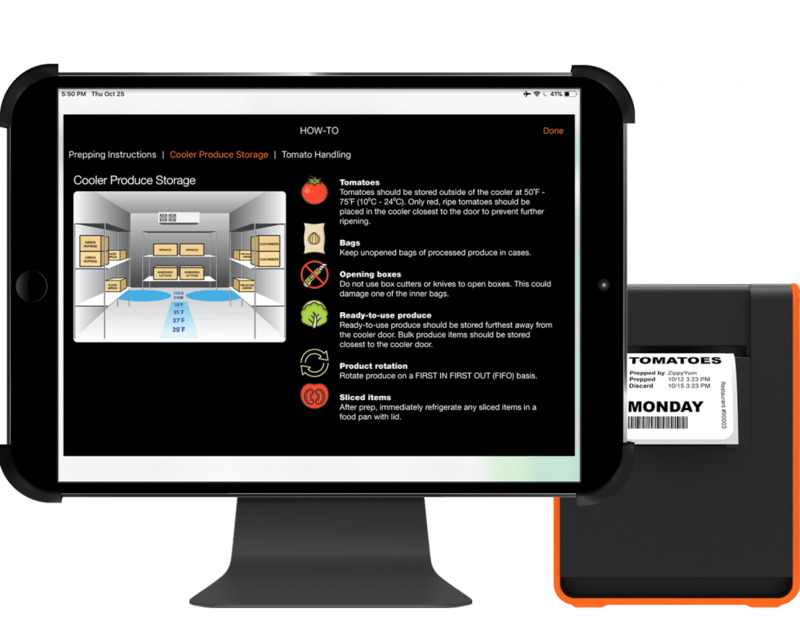 GoOps’ prepping scheduler helps you determine when and how much to prep throughout your day with instructions and reminders. 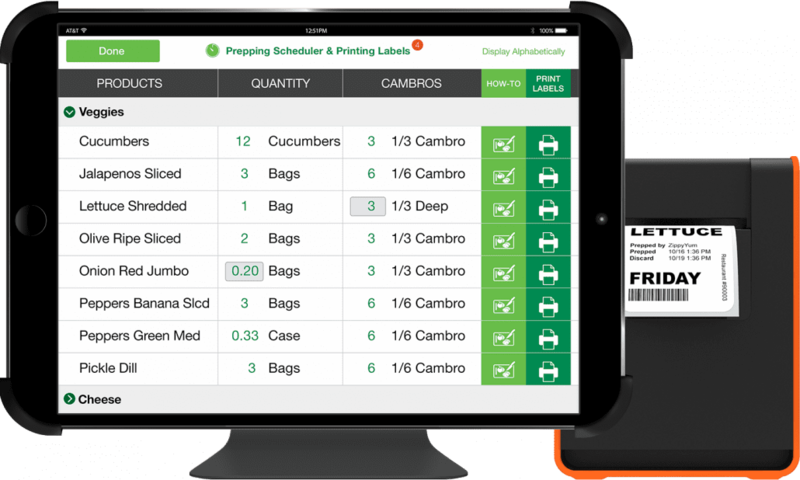 The GoLabel printer pairs wirelessly to the tablet-based GoOps app for effortless label printing. Stop handwriting those labels! Did a new employee forget how to grill that perfect burger? GoOps’ got you covered… just tap for step-by-step procedures. Let those backroom walls breathe. All your important docs will have a new home in GoOps. 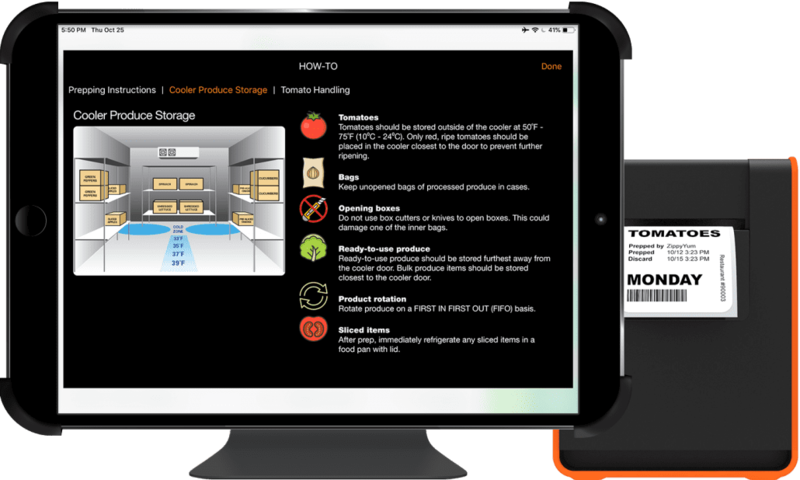 You’ve got inventory and temps, it’s time to move to the big screen with our tablet-based GoOps app. 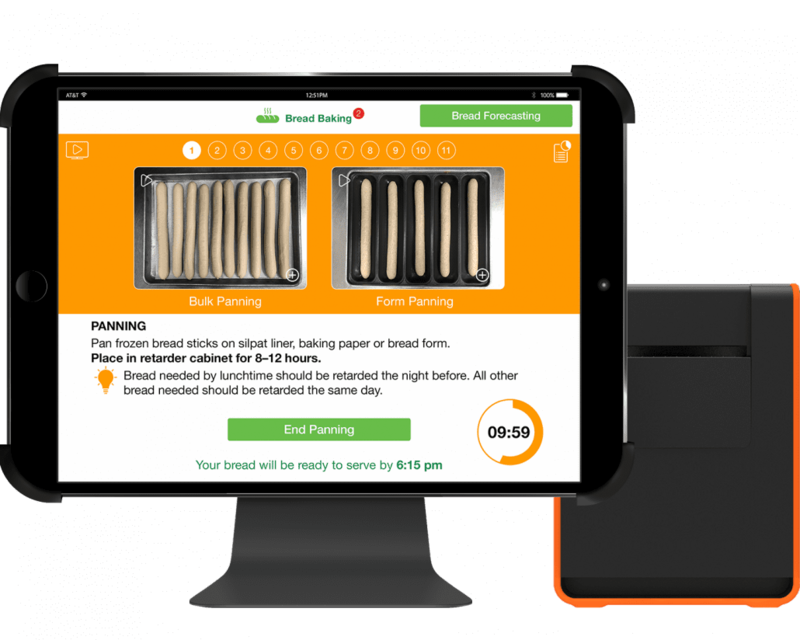 GoOps is built to optimize your operations from our smart prepping and baking algorithms to custom labels, timers, and checklists. 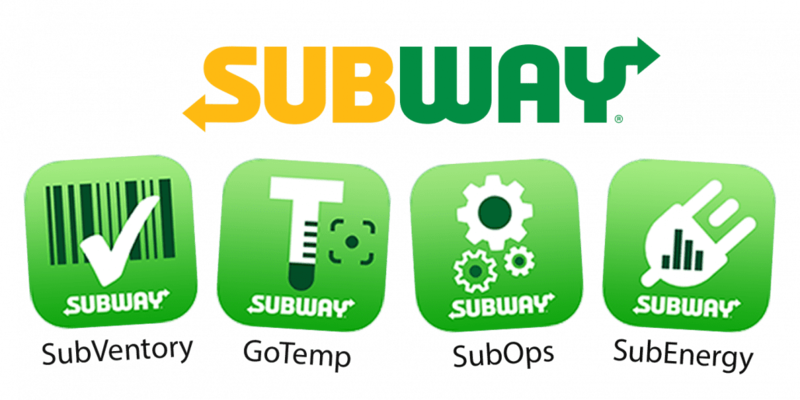 Oh yeah… it works with our sweet GoLabel printer too. GoOps’ prepping scheduler tells you exactly how much to prep each day based off of sales and inventory metrics. 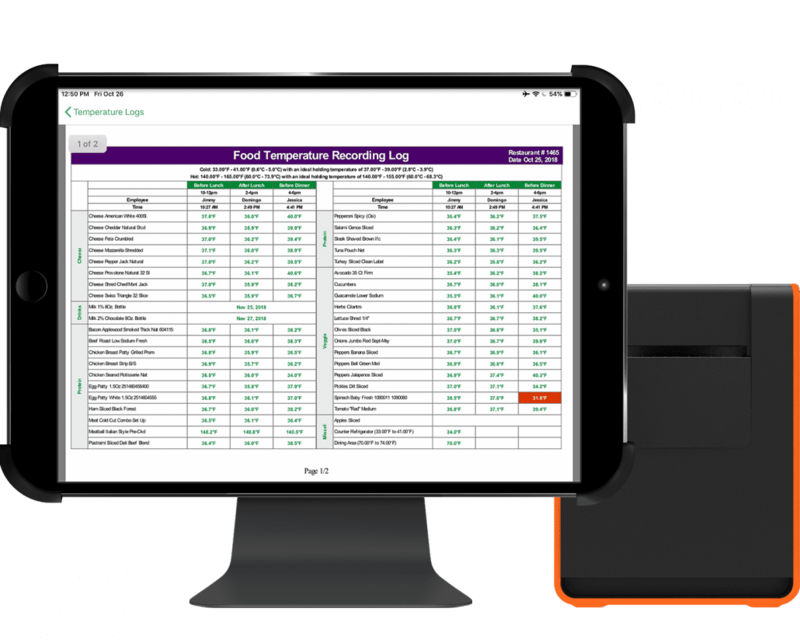 Step-by-step instructions accompany each ingredient and the wireless GoLabel printer lets you slap on those food prep labels in no time. 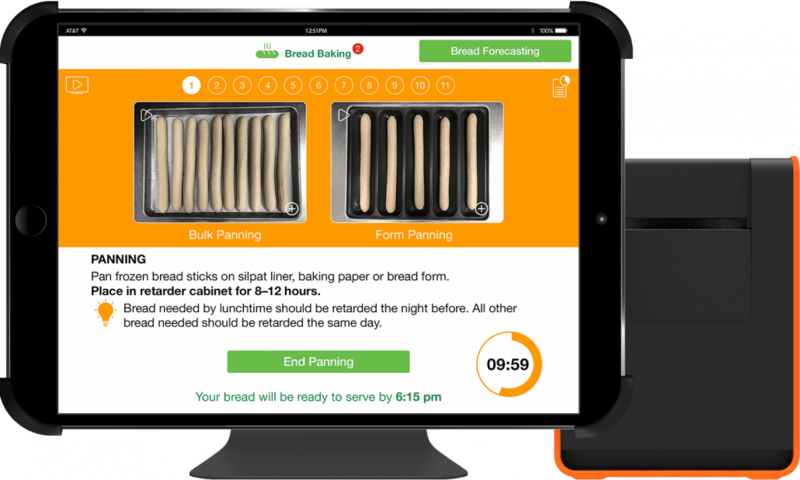 GoOps can help with custom, more complex tasks like cooking or baking too! 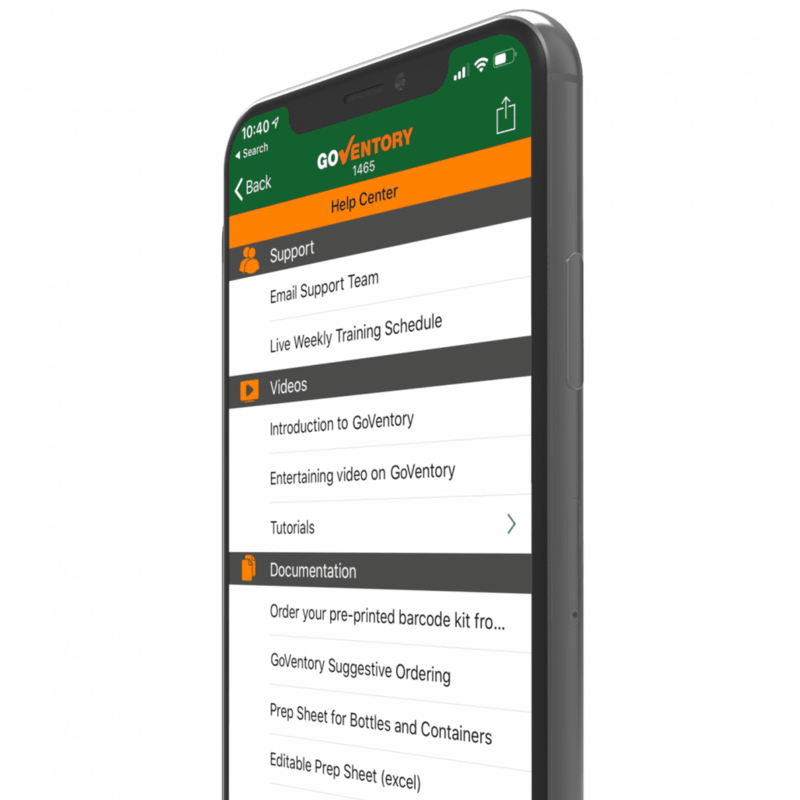 GoOps can handle brand-specific procedures with ease while providing employees useful instructions, photos, videos, and timers along the way. 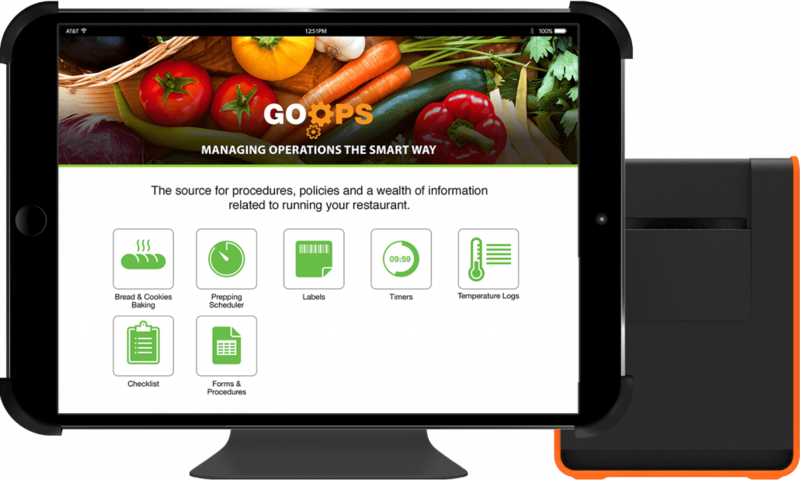 GoOps is the key to reducing food waste and cooking consistently perfect food. 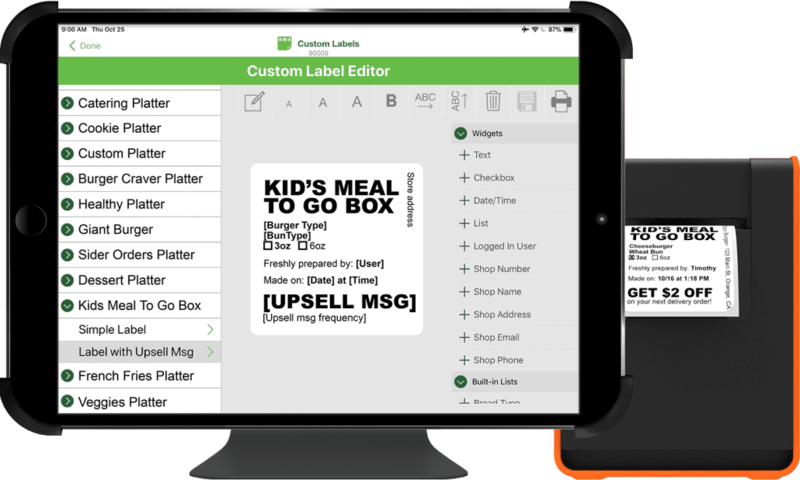 From catering orders to pick-up and third party delivery, GoOps’ custom label editor lets you create any label you can dream up… or use one of our handy templates. Stop scribbling on burger wrappers with that sharpie and print a professional-looking label instead! 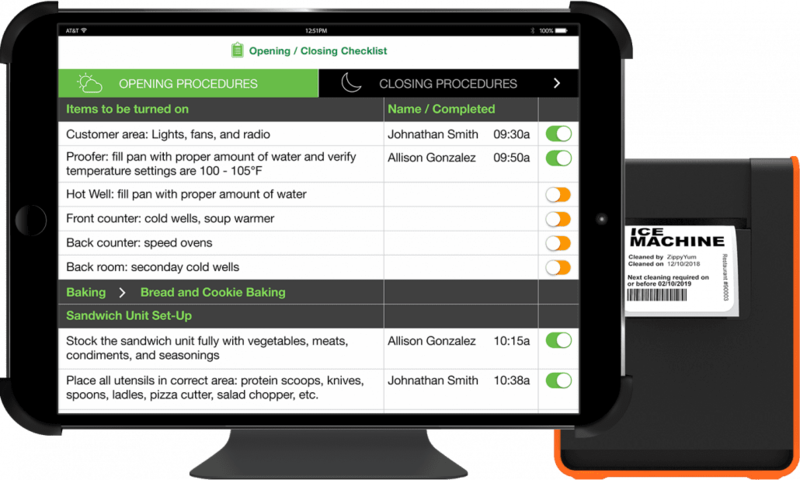 With fully customizable checklists and opening-closing procedures, GoOps keeps track of tasks like never before. 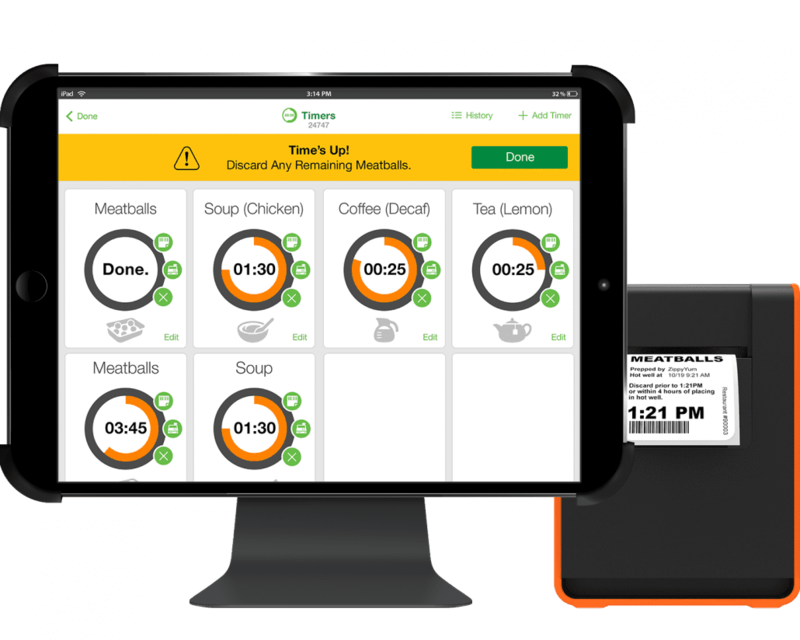 GoOps will help keep your restaurant in order and can even implement a points-based rewards program for employees! Even print labels with equipment maintenance reminders. With features-galore, GoOps is worth its salt. Training right when it’s needed. 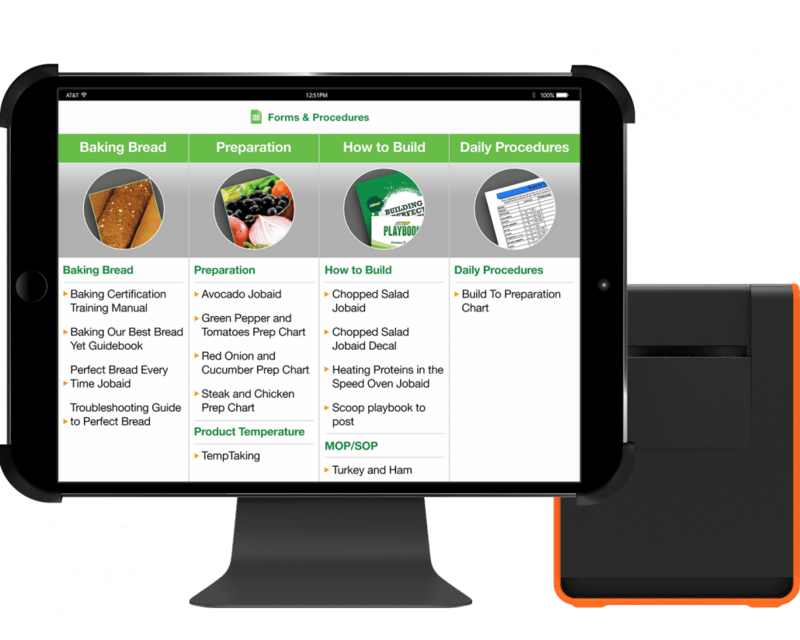 GoOps is jam-packed full of training information, photos, and prepping instructions for each ingredient created exclusively for your brand. 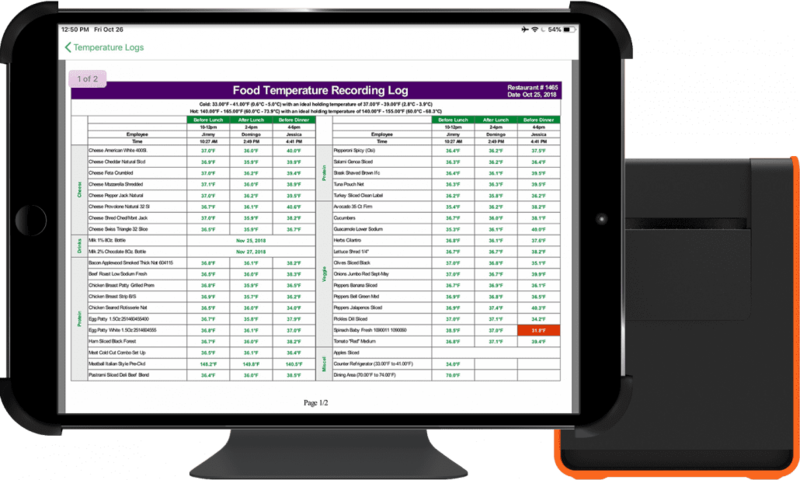 If you’re a GoTemp user, there’s no need to tie up your POS to view and access your temp logs. 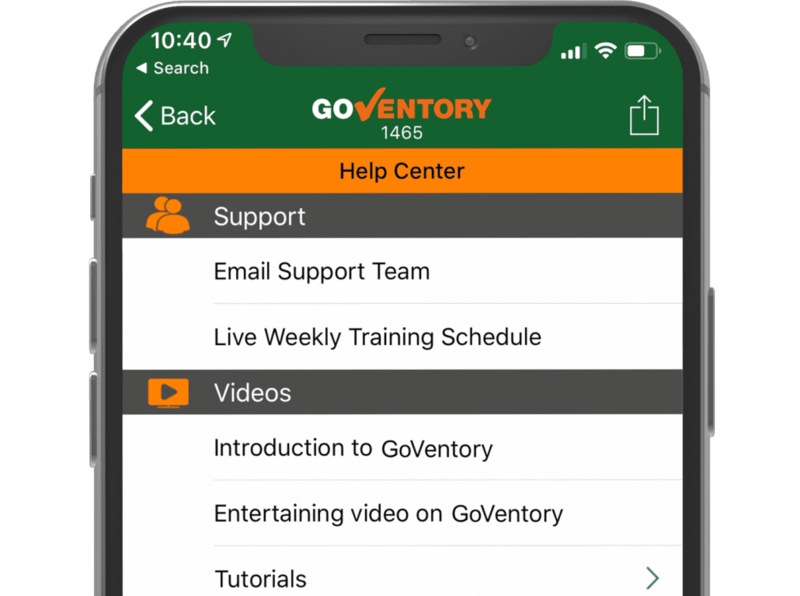 They’ll automatically show up in GoOps, just tap on a log to view or send it! 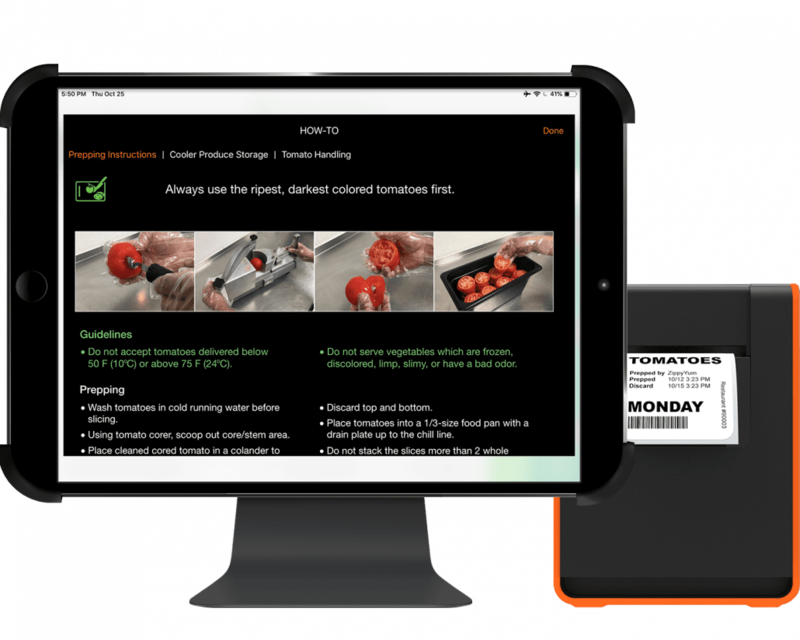 Similar to our prepping how-to pages, GoOps incorporates customized training videos and step-by-step procedures for more complex tasks like baking. 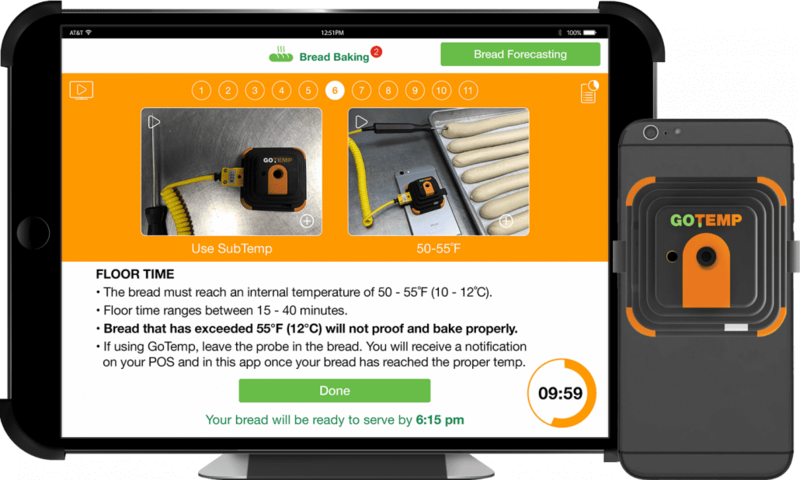 This allows you to help employees bake and cook perfectly every single time. 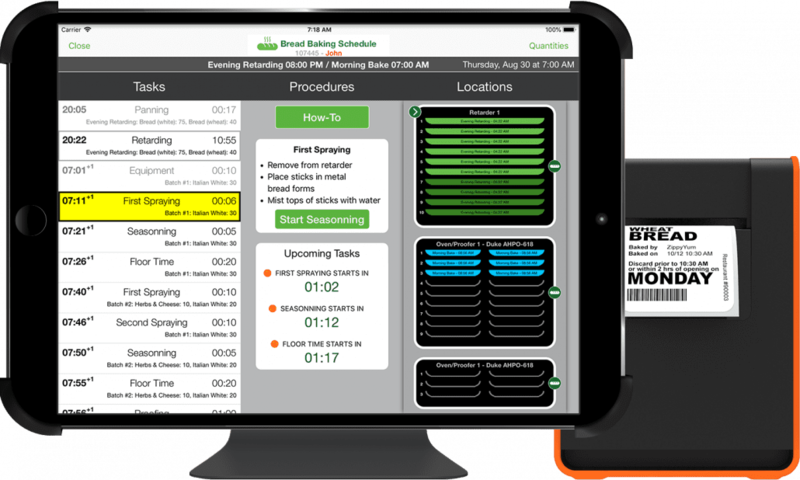 The tools also include timers and timelines for each step of the process. 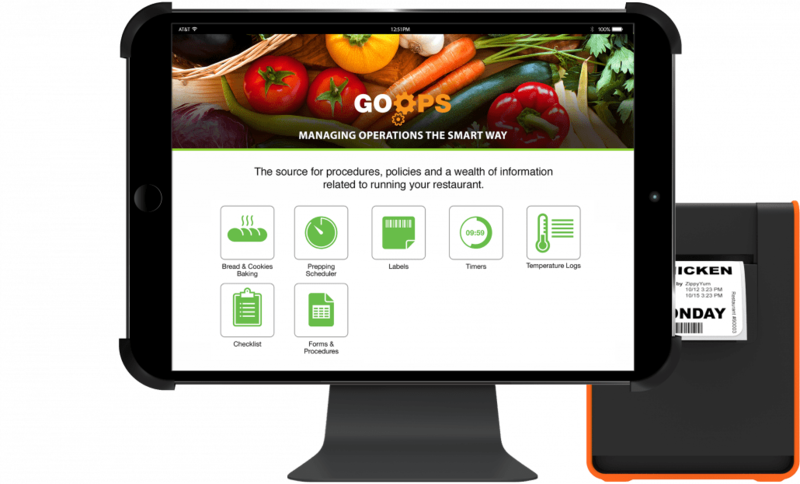 The ZippyYum team manages and pushes out all content updates to GoOps so all you have to worry about is running your restaurant. GoOps can lend a hand with all those timers you need. 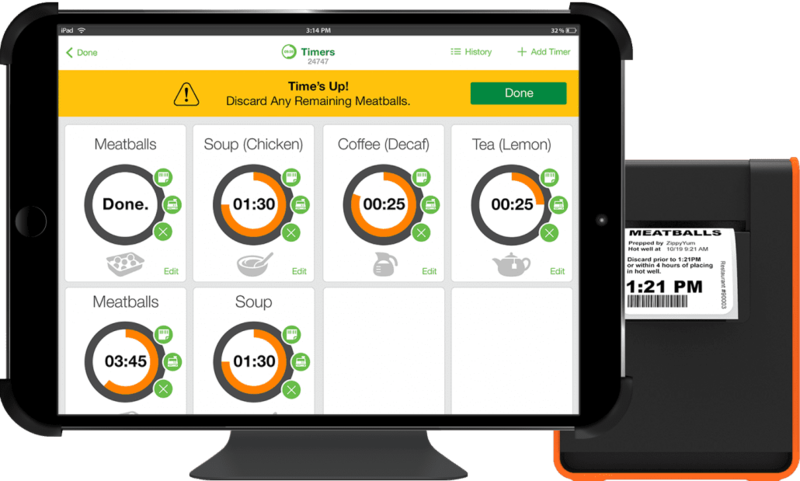 Simply tap to start a timer for perishable items like coffee, teas, and certain hot foods like soups and meatballs. GoOps will automatically remind you when its time to prepare a new batch. 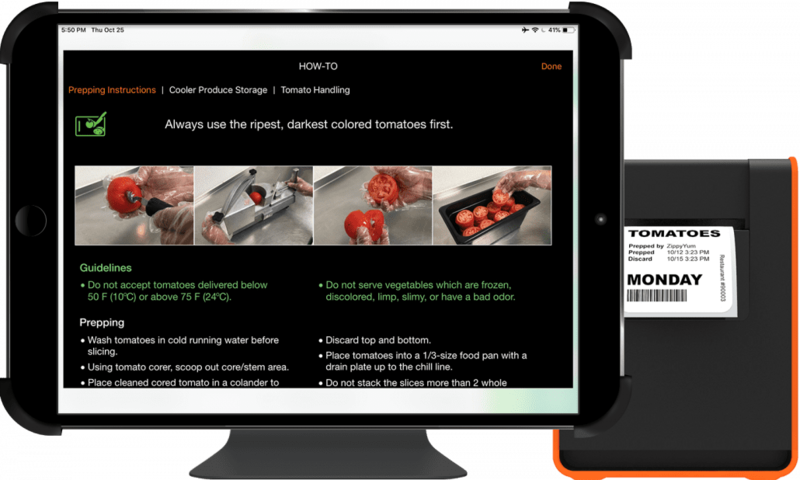 You can also print optional labels to stick on the food pans as an additional reminder! 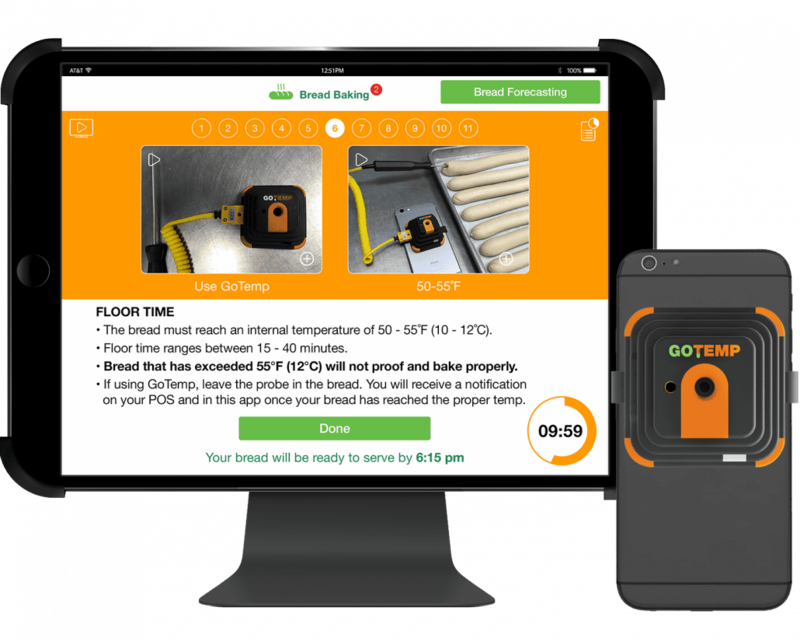 Simply plug one of your existing temp probes into GoTemp and GoOps takes over from there while you do something else… alerting you when the bread is at the right temp. Those bulky manuals do your employees no good when they’re neck-deep in sliced onions. 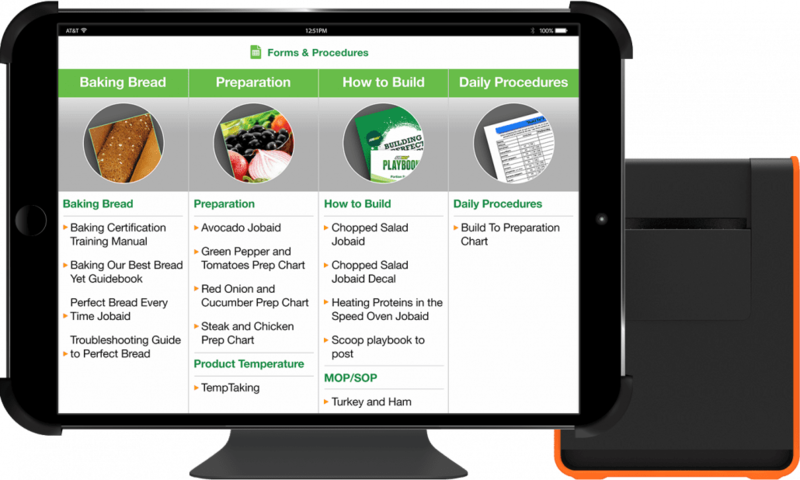 Bring your training to the prep table with GoOps. 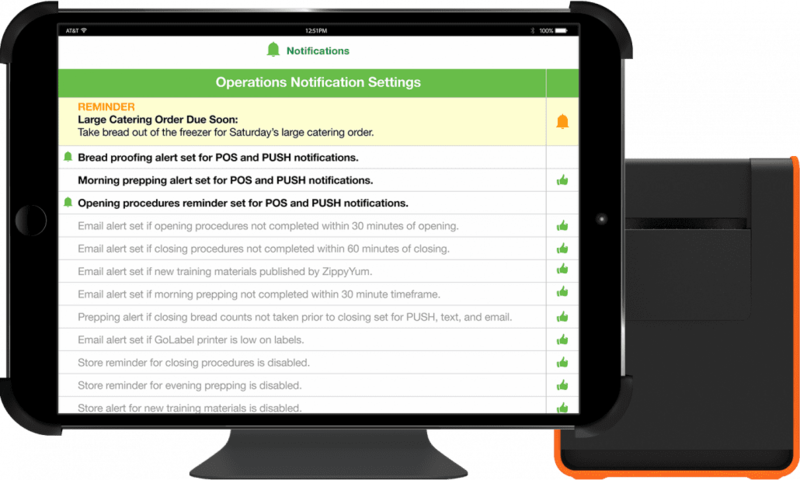 GoOps features our fully customizable notification system. 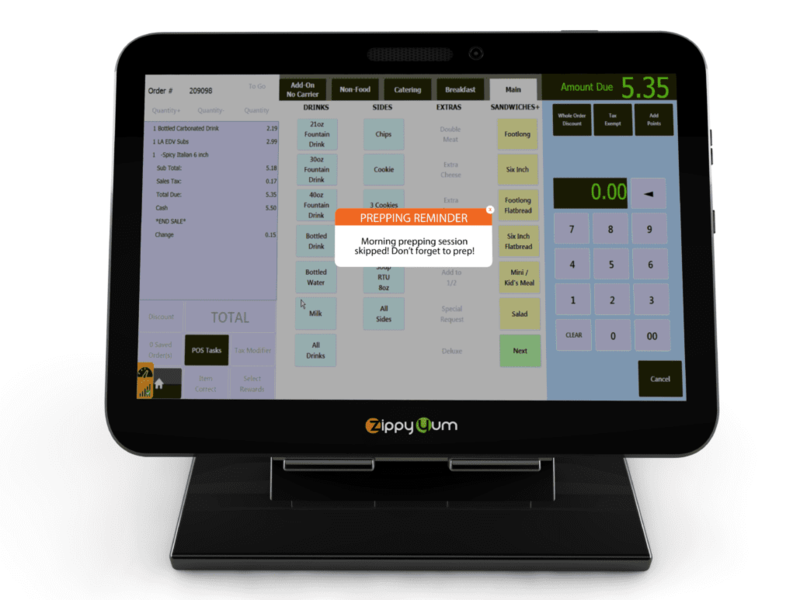 GoOps integrates right with your restaurant’s POS with the installation of our GoOps agent.